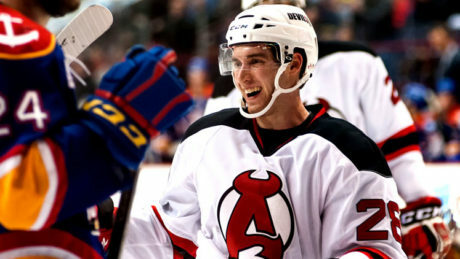 Scott Wedgewood backstopped the Devils to a 4-1 victory during Game 6 against the Marlies Saturday at Ricoh Coliseum. The win forces a Game 7, which will be Monday at Toronto. 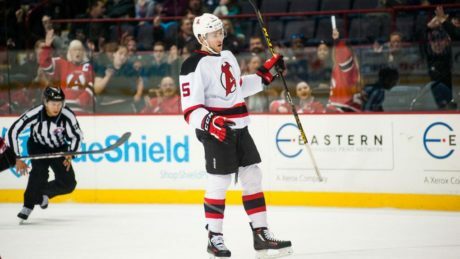 Paul Geiger, Marc-Andre Gragnani and Graham Black each scored, helping the Devils to a 3-0 victory against the Senators Sunday at Times Union Center. 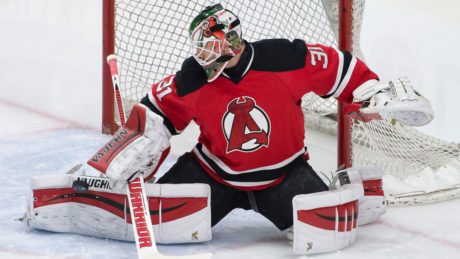 Now in his second full season, Graham Black sits down with Josh Heller on the A-Devils Podcast. Graham Black and Corbin McPherson missed Thursday’s practice at Knickerbacker Ice Arena and did not travel with the team for its 7:05 pm contest at Providence Friday because of illness. 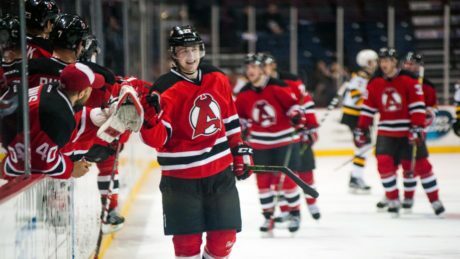 After an hour and twenty-five minute delay, the Devils took care of business — as they usually do on home ice — defeating the Providence Bruins, 4-1, Saturday. 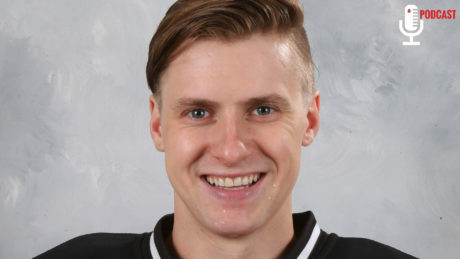 Scott Wedgewood made 27 saves and Brian O’Neill, who was playing in his first game at Times Union Center in the red and black, netted the game-winning goal. Graham Black, Matt Lorito and Vojtech Mozik, who missed last Saturday’s opener with injuries, participated in Wednesday’s skate. Joe Whitney and Graham Black are both riding point streaks as the Devils embark on December. 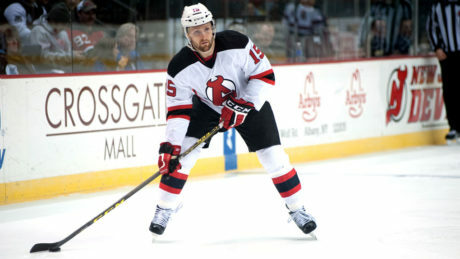 Whitney’s success is common, while Black tries to establish himself as the Devils top rookie scorer.